When I was in eighth grade, I asked a rabbi a question. If we believe in only one God, why is God’s name in Hebrew a plural? I know I was thinking of the name Elohim אלו-הים, but I might have also been thinking of Adonai אדנ-י (which would seem to mean "my Lords"). I don’t believe the rabbi ever directly answered me, but did say something like, “Now that’s a good question.” My understanding at the time was that there was some significant theological significance to the plural forms. In more recent years, I would have assumed that some secular biblical scholars might attribute the plural forms to a polytheistic origin of the Israelite religion. Why is this? Both Rav Hirsch in his commentary on Bereshit 1:1 and Shadal in his essay "Tzelem Elohim" (printed in the collection Mechkerei HaYahadut, pg. 225) explain it as showing full sovereignty and authority over the subject (see also Rashi on Bereshit 35:7). Using a plural form to designate a plentitude of powers combined in one person is moreover by no means unusual in expressions of mastery and power in the Hebrew language, such as אדנים, בעלים. They always designate a person who possesses the various powers which rule over any object, to whom, accordingly, this object completely subjected in every direction. Shadal adds that if adon was written in the singular, you might think that the subject would have this master, and additional masters as well. Some people have claimed that because baal means both owner and husband, this implies that in Judaism the husband "owns" his wife. But as we have seen, there are two different words - baalim for owner, and baal for husband. 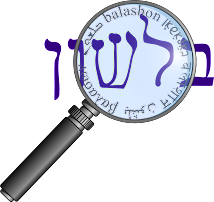 In addition to the definitions “husband” and “owner”, baal is a prefix in compounds meaning “possessing”, as in baal habayit בעל הבית – “landlord, host”, baal kriya בעל קריאה (or the Yiddish influenced, more popular, although less grammatically correct baal koreh בעל קורא) – “the Torah reader” (who possesses the knowledge of how to read), and baal teshuva בעל תשובה – a Jew who has returned to following the laws of the Torah, literally “master of return” (in Israeli Hebrew chozer b’teshuva חוזר בתשובה seems more popular.) However, the phrases baal-peh בעל פה - "orally", and baal-korcho בעל-כרחו - "against his will" do not use our word baal, but rather the letter bet as a prefix followed by the preposition al על.